It is intended to address stagnant energy in the body that’s responsible for inflammation. Inflammation is the underlying cause of several conditions associated with chronic pain. Rubbing the skin’s surface helps reduce inflammation, and promote healing. Learn more about body Gua Sha in our video blog post. Facial Gua Sha is all the rage these days with several department stores selling the jade tools that have been used in Asia for generations to depuff and brighten the skin. We covered the topic here and here during our previous blog posts. However, did you know that Gua Sha is also commonly done on the body as well? It is just as effective for releasing muscle tension! Gua Sha is a modality in Chinese Medicine that uses a scraping motion using the Gua Sha tool to encourage microcirculation and decrease inflammation in the body. It’s often used for muscle aches and pains and it’s also traditionally used for treating such conditions as a recently caught cold, cough, headaches, and/or migraines. There are several different Gua Sha methods and tools that can be used to aid the body in it’s healing process. Gua Sha can be done on several different areas on the body such as the neck, shoulders, arms, legs, buttocks, and back. The method that is used to treat the body is different than facial Gua Sha which we have covered previously. Facial Gua Sha uses gentle and slow motions while body Gua Sha has a main goal of decreasing stagnation so the motions are more powerful with wider strokes. The idea behind Gua Sha is that aches and pain experienced in the muscles are the result of inflammation in the body and Gua Sha can release stagnation while improving circulation to decrease the inflammation thus decreasing pain. While this modality is great for athletes and those suffering from chronic pain, it is important to limit this practice for those who are taking blood thinners or those with bleeding disorders. It should not be done on areas of injury or the lower abdomen of women who are pregnant or menstruating. 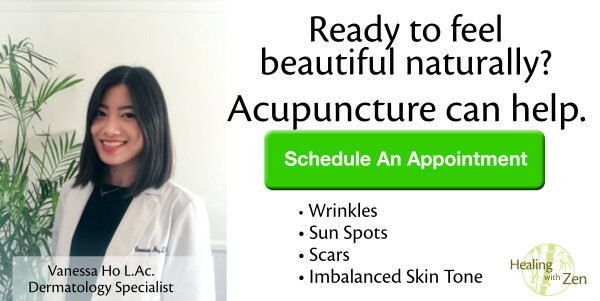 Always consult your acupuncturist when deciding if this modality of treatment is right for you. Did you know we recommend a at-home facial protocol using Facial Gua Sha? We’ve recorded a whole Series about it. Click here to learn more! Healing with Zen recently demonstrated a Facial Gua Sha treatment at the Lather store in Pasadena! Watch our videos by clicking here and learn more about facial rejuvenation! Are you suffering from pain? Try body Gua Sha.